The aim of this paper is to measure and to correct for the potential incomparability of responses to the SHARE survey on health care responsiveness. A parametric approach based on the use of anchoring vignettes is applied to cross-sectional data (2006–2007) in eleven European countries. 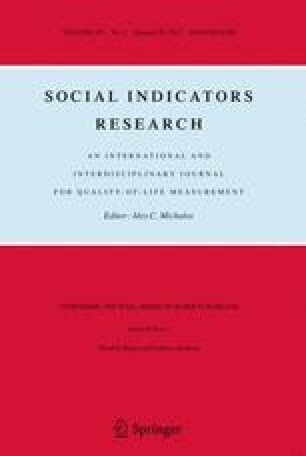 More than 7,000 respondents aged 50 years old and over were asked to assess the quality of health care responsiveness in three domains: waiting time for medical treatment, quality of the conditions in visited health facilities, and communication and involvement in decisions about the treatment. Our results suggest that there is reporting heterogeneity across countries and across individuals within countries, and the degree of heterogeneity varies with the health care domain. Although leading countries in terms of health care responsiveness remain among the most successful even after correction for reporting heterogeneity, one may acknowledge many shifts in the ranking of the other countries. This study is part of the COMPARE project. “This paper uses data from SHARE release 2.3.0, as of November 13th 2009. SHARE data collection in 2004-2007 was primarily funded by the European Commission through its 5th and 6th framework programmes (project numbers QLK6-CT-2001-00360; RII-CT-2006-062193; CIT5-CT-2005-028857). Additional funding by the US National Institute on Aging (grant numbers U01 AG09740-13S2; P01 AG005842; P01 AG08291; P30 AG12815; Y1-AG-4553-01; OGHA 04-064; R21 AG025169) as well as by various national sources is gratefully acknowledged (see http://www.share-project.org for a full list of funding institutions).” The authors would like to thank Arthur van Soest, Theresa Bago d’Uva, Silvana Robone, Hendrick Jürges, Renske Kok, and two anonymous referees for useful comments and suggestions on previous versions of this paper. See Tables 4, 5, 6 and 7 are given below.